It is a very interesting story that is spread across three cities, two countries and spanning six years. 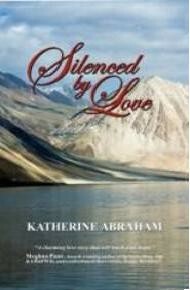 It is a heart-rending saga of love that rises above the boundaries of country, culture and time. As a young Indian mother undertakes a long and arduous journey through the streets of Lahore and Karachi to the beautiful and mystical Naran to search for a love that once left her in the wilderness, all for the sake of her dying six-year-old child Zunairah, the questions remain: will hope prevail in the midst of the storm, will love endure the test of time; will destiny give the young couple a new lease to love? It is a heartening tale of Sarah and Zaid. Years ago when Sarah’s love left her with a child in tow, Sarah did not look back to curse her luck. Now, as she finally begins to embrace life with both hands as a single independent mother destiny reveals its own plans. Standing on the crossroads of their life, Zaid and Sarah must make a decision as time come a full circle again. Manoeuvring through life’s turbulent seas, will these soul-mates be re-united by their young child or will their own egoistic, foolish pride come in the way of reconciliation. Will life ever be the same again? That's what the story is all about. This is a beautifully woven story of Sarah and Zaid, whose rendezvous in Goa changes the entire course of their life. The story takes its readers on an emotional and romantic rollercoaster. Chance encounters, in this book, yield the power to turn tides. The picturesque locales of Goa and Naran provide a visual treat as well. The fate of the star-crossed lovers takes an overhaul as the bitter truth of Zaid’s past reveals itself. As the lovers part ways, they realise they have been silenced by love for the rest of their lives. But life is a storehouse of surprises. Just when Zaid and Sarah begin to think that they’ve moved on with their lives, they are jolted by a tumultuous wind force whose ferocity wrecks their life. Love and loyalty wage war throughout, and the brunt is borne by three individuals who suffer in silent isolation. Zaid, Sarah and Siham have all fallen prey to misunderstandings and cease to emerge out of their wallowing until little bundles of joy are bestowed on them. The children bring a new spark of vigor to their lives, bringing hearts closer from across the border. The story echoes the tale of many a hearts, and for that reason, is very relatable. The plot grips you well, not allowing you to put the book down till you are at the last page. This is a book that every reader who likes to read a good romantic fiction will want to add to his/her shelf. Overall the book is good and very well expressed. However, little less description about Goa and trips would have worked in favour of the story. As too much description about places makes the reader lose interest in the book.